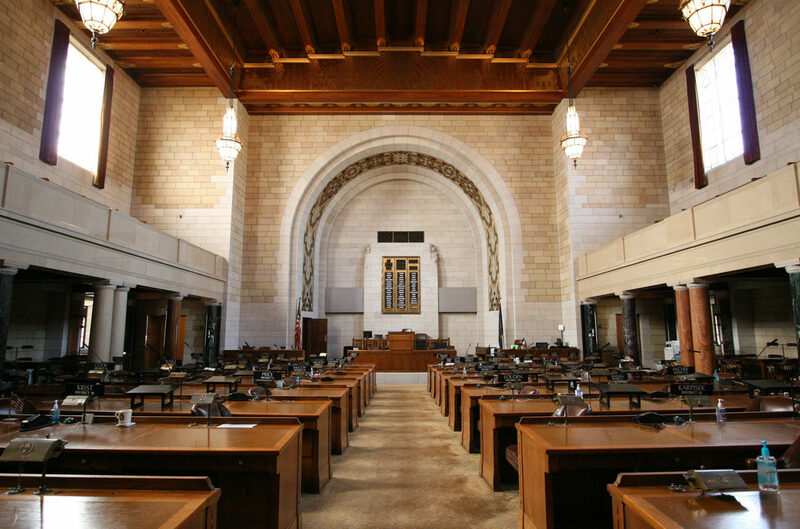 Nebraska is the only state with a one-house legislature, the Unicameral. We have just 49 state senators, no representatives. Nebraska’s legislature is entirely nonpartisan. Those two things can make government relations in Nebraska a challenge. We work hard and are extremely effective as lobbyists. Nobody does a better job of helping you meet those challenges than O’Hara Lindsay. We’ve been doing just that since 1978. In Nebraska . . .
A legislative candidate’s political party is NOT printed on the ballot. Nor do we have political caucuses. And, so are the Committee Chairs; thus leadership is truly nonpartisan. Our lawmakers vote independently rather than party mandates. Every senator must be lobbied on every issue. O’Hara Lindsay is “plugged-in” with the state senators and staff and can help you find your way through the maze that is the Nebraska Unicameral.